I have still to embrace Valentine’s, for a few reasons which are a bit too preachy for this post. Actually this post is meant to celebrate a lovely surprise I got the other day when one of my prints was recommended as part of a blog post entitled ‘Make my Heart Sing Toronto’ dedicated to local Toronto shopping for Valentine’s. Over the last few years I have tried to educate myself to become a more informed consumer as well as a better supporter of smaller local businesses. Even more reason to be happy to be mentioned in this context. The blog where it was featured, Filthy Rebena comes from two lovely ladies, Natalie and Darlene, part of a special sisterhood which works at finding exquisite vintage clothing pieces. They also have an Etsy shop where you can browse their finds. Roses have come to symbolise love and romance – there’s no question about it. How about a local alternative to the usual bouquet of roses this Valentines? 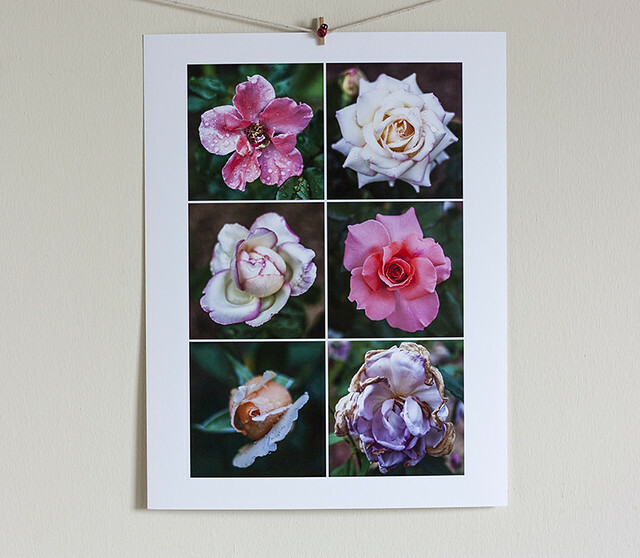 This rose print comes from a curious, traveling photographer named Anca. This limited edition photographic print is inspired from one of her trips to Brisbane, Australia. This print is guaranteed to inject a fusion of colors and lavish shades into your home. 100% beautiful. Thank you for the lovely surprise!! This entry was posted in Mon Atelier and tagged Etsy, Filthy Rebena, Toronto. Bookmark the permalink.